Combine milk and lemon juice; stir until thickened. Add marshmallows, pineapple, maraschino cherries and whipped cream. Line large loaf pan with separated ladyfingers, standing halves around edge and laying them across the pan bottom. Pour in filling and cover with ladyfingers. Chill at least 6 hours. Garnish with additional whipped cream and maraschino cherries, if desired. Serves 8-10. 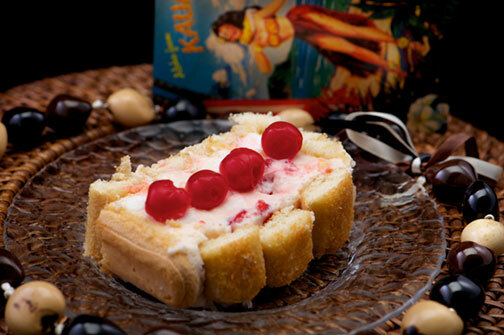 I received this recipe from friends who had just returned from Hawaii.